Procter Automotive is your one stop shop for truck repair in Abilene. We have been in business since 1947, and are highly skilled and experienced in the repair of personal and commercial vehicles. Whether you require truck service for a single vehicle or an entire work fleet, we want to be your repair auto shop of choice. We are proud to offer fast and friendly customer service and highly skilled technical service. We are proud to be certified by the ASE, or National Institute for Automotive Service Excellence. This rigorous certification process requires both a strong body of knowledge and a commitment to continuing education. Procter Automotive considers our customers and our employees to be our partners, and we treat every vehicle as if it were our own. When you bring your truck in for repair, whether its a brake repair, transmission or even oil change and alignment, at our Abilene shop, know that you will be guaranteed clear and honest communication. After diagnosing your vehicle’s issues, we will discuss possible solutions and their cost with you. We only proceed with your approval. We also recommend that you minimize costly repairs with regularly scheduled truck maintenance. While parts do eventually wear out and the unforeseen can happen, regular maintenance will greatly reduce the frequency and cost of required repairs. If you have misplaced your owner’s manual, we will be happy to speak with you and help you develop a maintenance plan. 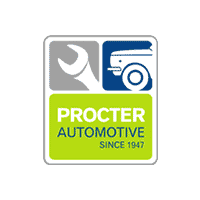 Procter Automotive is centrally located for all your truck repair needs at 1325 Butternut St. in Abilene, Texas. We are available Monday through Friday from 7:30 a.m. to 5:30 p.m. To schedule automotive maintenance or repair, give us a call during our business hours or use the convenient online scheduler on our website. Then just describe your car or truck and the auto service you will be bringing it in for. We will contact you promptly to confirm your appointment time and to answer any questions you may have. Procter Automotive looks forward to helping you with all your car maintenance needs.